Ride further, climb higher by Electric Bike! 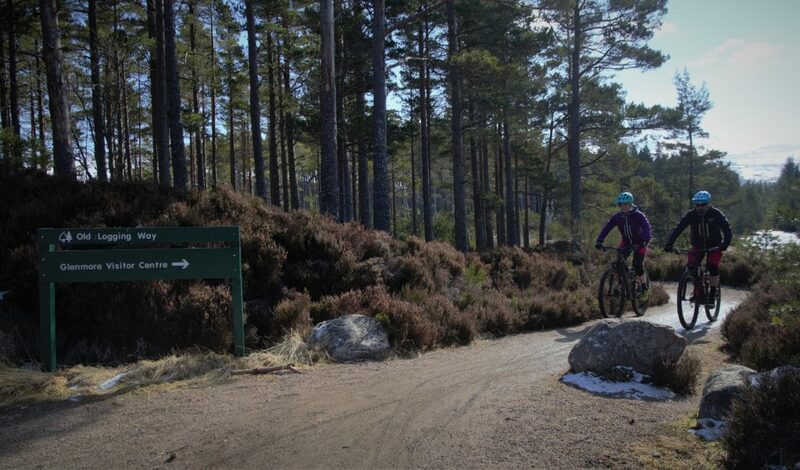 Discover the magnificent trails that the Cairngorm National Park has to offer by electric bike a whole lot quicker. Connecting all of the best local routes couldn’t be easier with our electric bikes. Guided trips are also available on electric bikes! Prices starting from £30 for a half day , pre-booking necessary. How long can I go out for? Our electric bikes will take you up to around 90 miles per charge – so that’s enough for a whole day out without worrying about the charge. Do I have to be experienced with electric bikes to hire one? No, our electric bikes are just like normal bikes. Gears and brakes are operated the same as a normal bike, there is a small control panel on the handlebars which you use to adjust the assistance that you receive. What kind of bikes are they? We rent out the HaiBike Hard 7 Models, equipped with a Yamaha Motor. These are hardtail mountain bikes. Along with them we have the Specialized Levo HT bikes We also have a small supply of Electric Full Suspension bikes for hire, please contact us to check the availability of Electric Full suspension bikes prior to your visit to avoid disappointment. You can ride an electric bike on all of the mountain bike/cycle paths around the area, if you are unsure where to go then why not book an Electric Bike Tour with us? Booking can be made via hire@aviemorebikes.co.uk / 01479 810478.